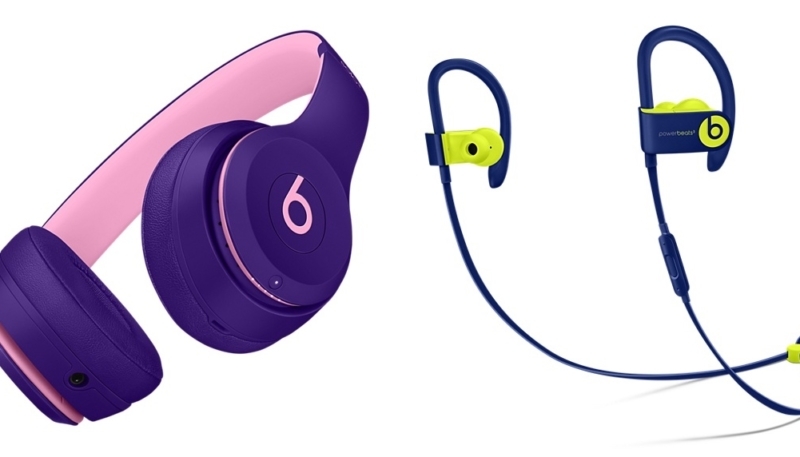 Beats Solo3 Wireless and Powerbeats3 Wireless headphones are now available in new “Pop” color schemes. The new color options include Pop Magenta, Pop Violet, Pop Indigo, and Pop Blue options. The Solo3 Wireless and Powerbeats3 Wireless headphones are available for $299.95 and $199.95 respectively in the United States. Other than the color schemes, there are no new features for the headphones. The new Pop collection can only be ordered from the Apple Online Store. The new colors join the traditional models of the headphones, which are also available at Apple and other merchants. The Solo3 Wireless and Powerbeats3 Wireless boast the same W1 chip used in Apple’s AirPods, which allows instant pairing with an iPhone. Following the initial connection, the headphones use iCloud to automatically connect to a user’s iPad, Mac, or Apple Watch that are on the same iCloud account.